The Astronomicum Caesareum, from the private press of Petrus Apianus in Ingolstadt, is one of the greatest masterpieces of 16th-century printing. The paper instrument found its supreme realization in a series of intricate volvelles with five or even six layers of movable paper discs illustrating Ptolemaic astronomy. Unlike many books of this period, the coloring was an intrinsic part of the production and not painted after the book was assembled. Hidden in Harvard’s copy is a clue that shows how intimately the coloring is related to its nature. 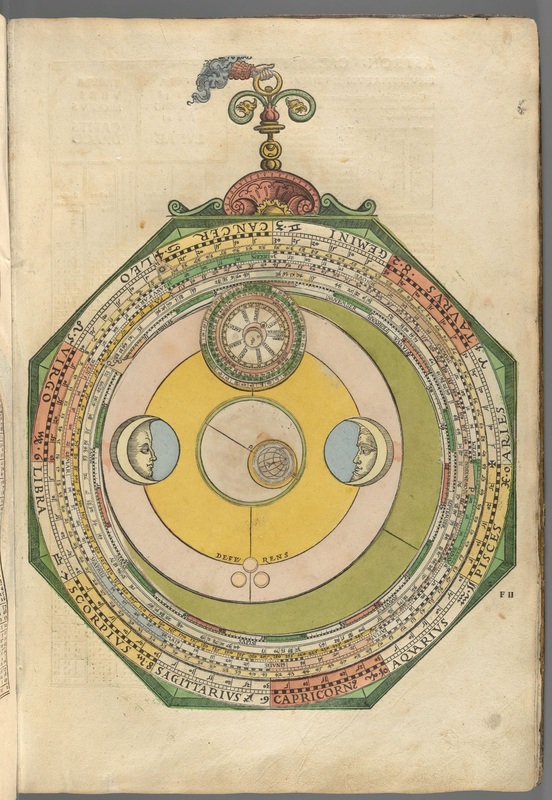 On the other side of a volvelle sheet is a colored but uncut fragment of a volvelle—in other words, the circular pieces were colored before they were cut and assembled, and apparently the piece shown by the printed image was defective and the sheet recycled. 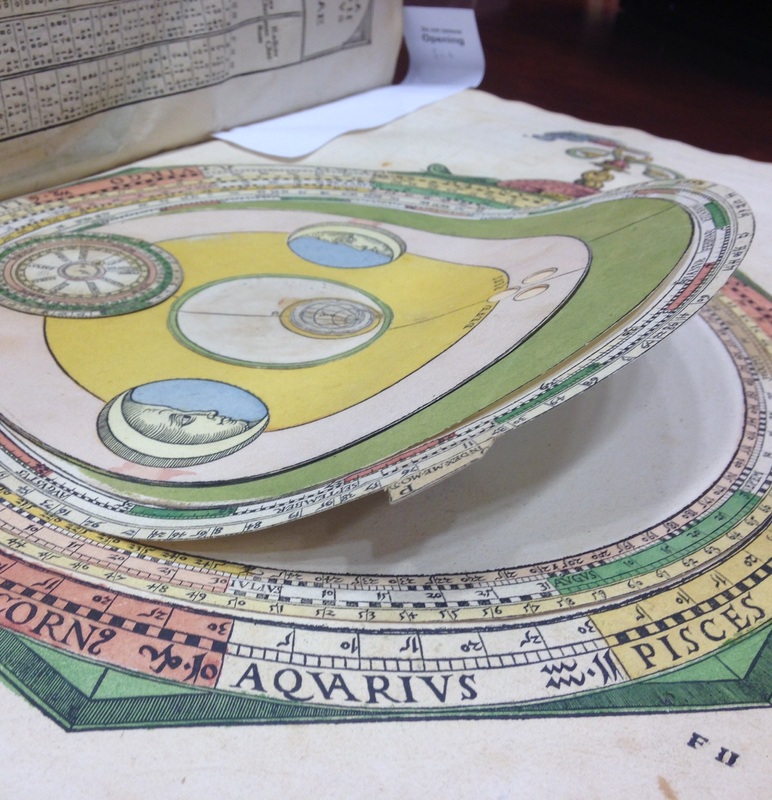 Watch the volvelle in action!